A new era begins in North London after Arsene Wenger finally stepped down as Arsenal boss, being replaced by rookie Corey Eaton-McKnight with many dubious questions being asked about the appointment but it seems to be one of the youngest appointments ever, and as well which could be one for the future. On the appointment, the majority shareholder Stan Kroenke has promised a wealthy budget to improve the squad to make them title hopefuls the budget is rumored to be in the 100 + million mark, not providing the title could well come a costly price at the end of the season, the ambitious shareholder demands success and silverware from the new manager, “not having a league title in ten years hurts, with fans constantly on your back to spend big, we simply couldn’t afford it because of paying off the Emirates, but now that’s cleared we’re more or less debt free we can afford to spend, but we won’t splash cash for the sake of it compared to other rivals, the manger will be held responsible for all signings, he will tell me the player he wants and how much they’re demanding and I will consider whether or not it’s worth funding, it’s simple”. The new manager is very proud to take upon this new challenge, "It's all new to me, I've rarely managed in the Premier League before so I may well be out of my comfort zone, but I'll rise to the challenge and face whatever is ahead of me, I am a young British manager who is ambitious and talented and willing to excel in management. "Arsenal are a massive club, and deserve to be winning trophies every season, this is what I want to bring to the club, and I'm optimistic for the forthcoming season, and I believe if I manage to bring in all of my signings this can take place, I don't want Arsenal to be seen as that boring 4th place club anymore, because they're capable of bigger and better, with a new manager it will take time for the team to adapt to new tactics. but it's all about a good finish the first few months results don't bother me at all, it will be nice to start well, but if we can be consistent throughout the season, reach the latter stages of the UEFA Champions League, I, myself will be very pleased as for me I see this as a transition season. Next season will be where everything comes into shape, it might not be quite what the owner wants but for me it might be the best I can offer, but I will see I think the tactics I will deploy can win over the fans and aim for a top 2 finish. 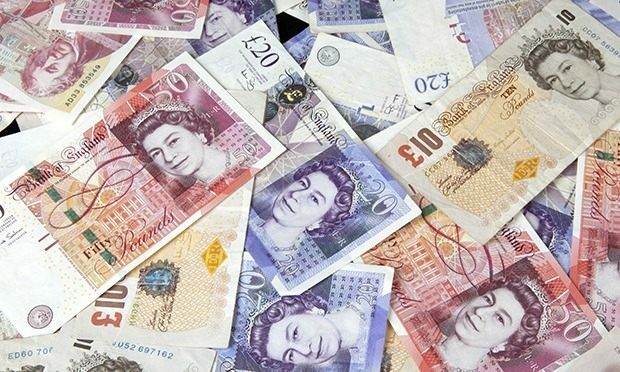 "I may have been given a big budget, but by no means does that mean I'm going to be wasting it, I've got a budget to work within and that is all that counts, if there are players I want who will price me out then quite simply I won't be able to purchase them and will have to look at options elsewhere. I want to build both, a team for now and the future so I will have to weigh up my options and decide on the players who I want the most and where they will fit in well. I'm not going to splash 40 million on players for fun, I'm also looking to offload the weaker players, those who aren't required within the club anymore - the Rosicky, Monreal, and Flamini sort of players - they know they're heading off and have accepted it really well, I've thanked them for the previous service to the club". During an interview with the BBC on this arrival an interviewer tried to get a sneak into some of the possible targets. The targets obviously will spread quickly, with the media accessibility in the modern world, he added. There are numerous players I am chasing to get deals on as soon as I can, so that we can have an assembled squad where the morale is high within the changing room, every year Arsenal get linked with some striker or another, and this will be no other with a list of strikers I am keen on, I aim to strike a deal with a French international sometime soon to play with Giroud as I believe they will work well together, this may be behind, or beside him, he will know Laurent well too that is all I am saying for now...."
Is it Antoine Griezmann? 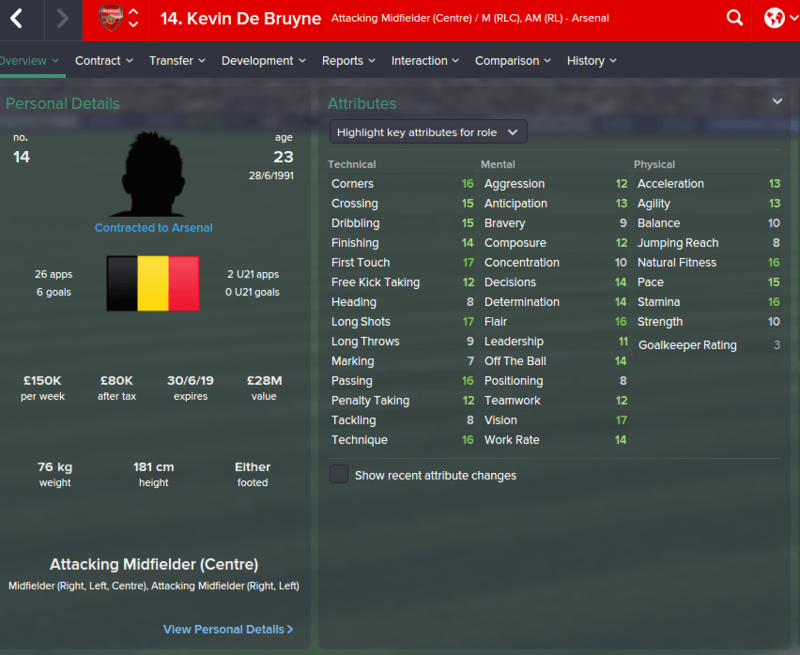 He'll do really well alongside Giroud! English midfielder Jack Wilshere has ended his thirteen year stay with the North London club, subsequently joining Chelsea for £22.5 million - as manager Corey Eaton-McKnight continues his clear out ahead of the new season, in which was seen as a surprise move for all associated with the club. The central midfielder looked set to push on at the Gunners, as he looked to cement a first team spot and recover his struggling and stalled career. Wilshere, who thanks to Ryan Shawcross received a massive injury blow a few years back as soon as he came rushing out of the blocks, despite making his Arsenal debut at just 16 years old, which was only six seasons ago, it seems as if the guy has been playing on forever but only features 25 times in the squad last season, managing to bring three goals to the team, one being the memorable pass and move interplay against Norwich. With having the potential to be one of the best, if not the best midfielders in the world it was the off-the-field antics, and injuries which forced Eaton-McKnight into selling the 22 year old. "It was hard to let him go, I mean, I'm not his biggest fan and if I were to work with him, he wouldn't fit into my plans it was for the best that we both part company and allow him to try and resurrect his career at the same time, maybe, possibly one day in the future when he's older and has learned that the unprofessional acts he does and remembers whatever he does is caught on camera everywhere, he may return, who knows, football is a funny game." "When you swear during trophy celebrations, you have to consider there are children around who are young and parent's don't want them to hear this type of language, he's a role model, I know he smokes and should be given the personal space to do what he wants with his life, but he's ruining his reputation massively, when you consider how judgmental people are in the modern world." "Chelsea are a massive club, with world class talent, they are the sort of club we need to aspire to be these days, they win trophies and titles, but quite simply don't have the funds which the likes of Mourinho has, so if we can't win the league this year then I hope Chelsea do, Jack [Wilshere] deserves to have a Premier League winning medal around his neck"
Outgoing from Arsenal,continuing the midfield reshuffle see's Mikel Arteta who has joined Monaco, Tomas Rosicky to Malaga, and Mathieu Flamini - released. 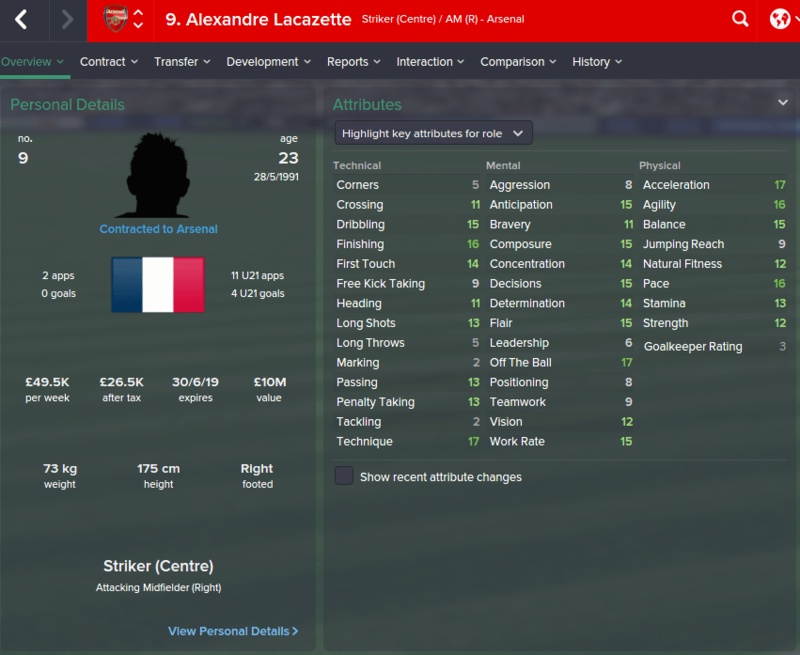 Although, there IS finally some good news for all involved at the North London club as the Gunners are set to bolster their attack in the name of Alexandre Lacazette, a fee in the region of 15 and-a-half-million pound, the young French striker will work well with Oliver Giroud, who he partnered at the 2014 FIFA World Cup together. Great update mate, looking forward to this and fantastic signings from both clubs, good business! Corey Eaton-McKnight's first competitive game in charge of Arsenal ended in defeat, with a lot of lessons learnt on the pitch, Eaton-McKnight's side face Watford at home in just a week so will need to change things up quickly if they are to win, after being outplayed and outclassed by Manchester City, with no less than 32 shots, a scoreline of just 1-0 shows that Arsenal are very, very lucky to only come away from the Wembley showdown with just one goal conceded. A full house of 90,000 exactly oversaw the performance, with many Arsenal fans optimistic ahead of the new season they went home very disheartened and it would be one of the worst games they've ever witnessed - being dominated from the off, the quality in the Citizens side, with blue moon beating out from the Manchester club, which will make the 200 odd mile journey back home a lot more pleasing for the 40,000 odd fans. 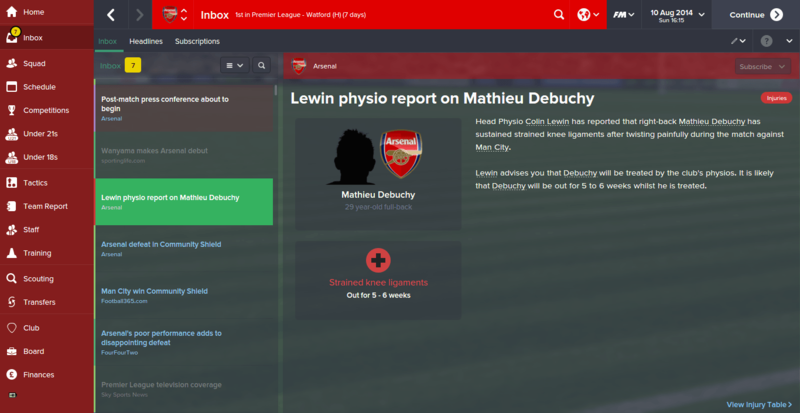 From minute one, it weren't to be the London teams day, as Mathieu Debuchy was stretchered off within the first ten. Sergio Aguero could've had a first half brace alone, if it weren't for the woodwork to deny him, with a curling shot which looked set to be in. With no more than six Gooner debutants, one being Petr Cech - catching and holding onto a fierce Aguero shot just after. Oliver Giroud had Arsenal's only shot on target, with a tame effort which was easily saved, Victor Wanyama who was one more debutant following his 15 million pound move from Southampton, had two wild shots at goal. The only goal came in the second half, through one of City's three signings, Dede, an Aleksandar Kolarov corner was whipped into the box, finding Fernandinho whose attempt was blocked but the ball eventually fell to Dede who poked home from close range in a busy area. "We were on the back pedal from the start, we never went in the right gear and couldn't face up to the tough challenge, it told me a lot about my players and where I need to alter my tactics, because quite simply if we play like that every week in the league, we will be mid-table and struggle to beat most sides"
"City were fully deserved their win and treated it more than a friendly, which some of my players had that mentality, if they play like that every week then they will be champions by Christmas, although - there were occasional good points to take away from it, but they didn't come often, I mean yes ,we have many new signings and they have to gel, but sure;y they're capable of better? I mean, I don't pay hefty fee's for no reason whatsoever." A final downfall to this is that we now have to start with Calum Chambers at RB to start the new season, which is going to make us vulnerable I believe because of his age. Unlucky mate, tough result to take! Big-spending Arsenal are to not be taken lightly anymore, after splashing over one hundred million pounds worth of new talent, freshening up their squad pushing for a huge season which is looking likely to be a title challenge from the North London side. With no less than ten additions, nine if you don’t count the loan of Jake Sinclair to add the numbers of Home-grown players it is a complete new look Arsenal side along with the likes of Alexis Sanchez and Petr Cech. With that, six players were sold and another seven loaned out, with at the moment the future of Aaron Ramsey uncertain. 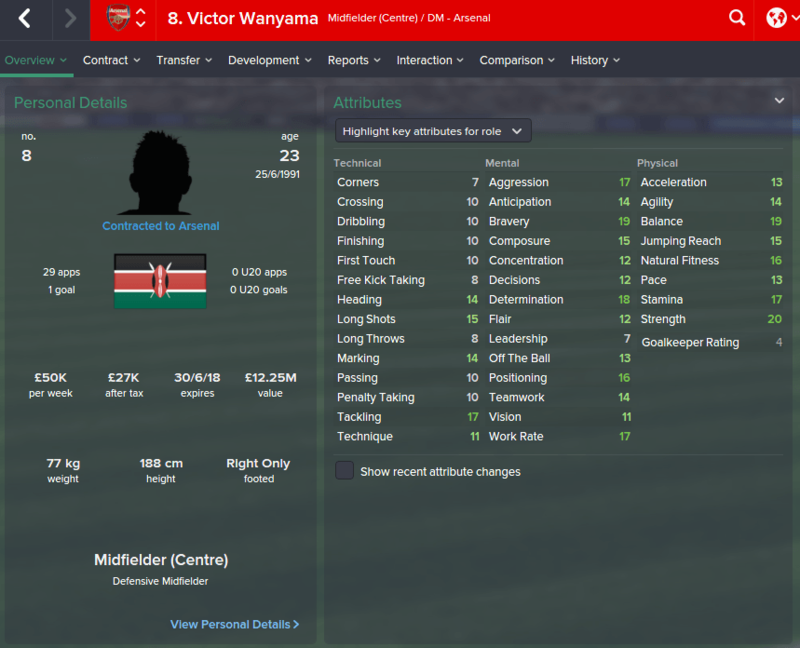 First through the door was Victor Wanyama, from Southampton following their overhaul have let go of yet another one of their star players, the defensive midfielder who people thought would replace Yaya Toure at Manchester City, has ended up replacing Mikel Arteta, the strong, tough-tackling, no-nonsense CDM will become an instant hit with the Arsenal faithful, and at only £14 million – it can be seen as an absolute steal for all involved. A surprise signing followed in the shape of Kevin De Bruyne, with a hefty fee paid it was already a concerning signing £40 million pounds were paid for the services of the German international who had a sensational season at Wolfsburg. Now unsure on where he will fit in, now it looks set that Santi Cazorla will stay the German could be well out of the door in the future before his career here has even started, but whatever happens every manager makes a mistake with transfers, but for such a fee – it could take a long time for fans to forgive! Then came two days, four signings and another marquee signing which the Gooners would have wished for, and being linked with him in real life, it would be a great addition to the squad, but with Sanchez on the wing – it could quite will be the penultimate signing which sees them lift the Barclays Premier League this season. 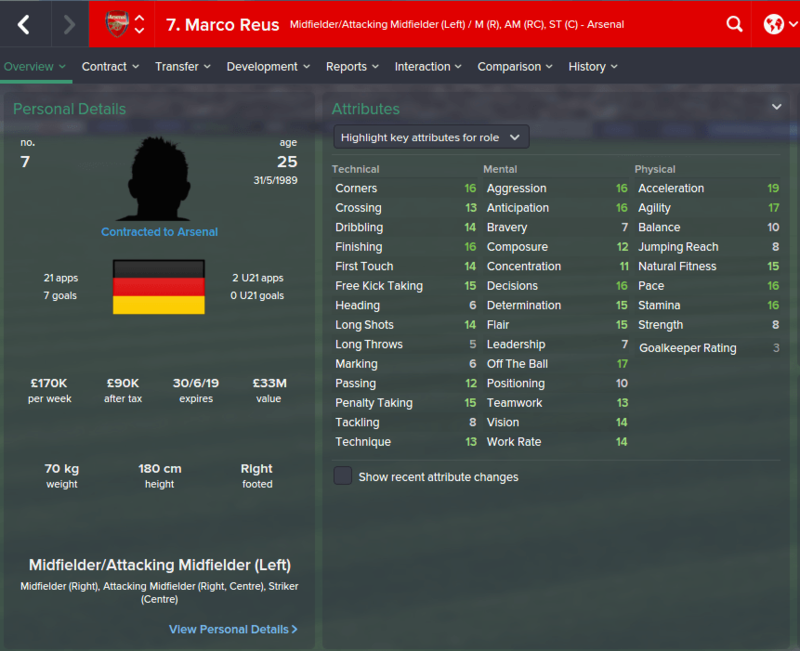 Marco Reus is the man; a second German influx came through the door costing a staggering £40 million, from Borussia Dortmund. Again, this looks the better deal for both sides, with Alex Oxlade-Chamberlain out of the door, the Arsenal would’ve been left with nothing if it weren’t for this signing, especially now as Walcott is playing up top more which could well become his natural position. 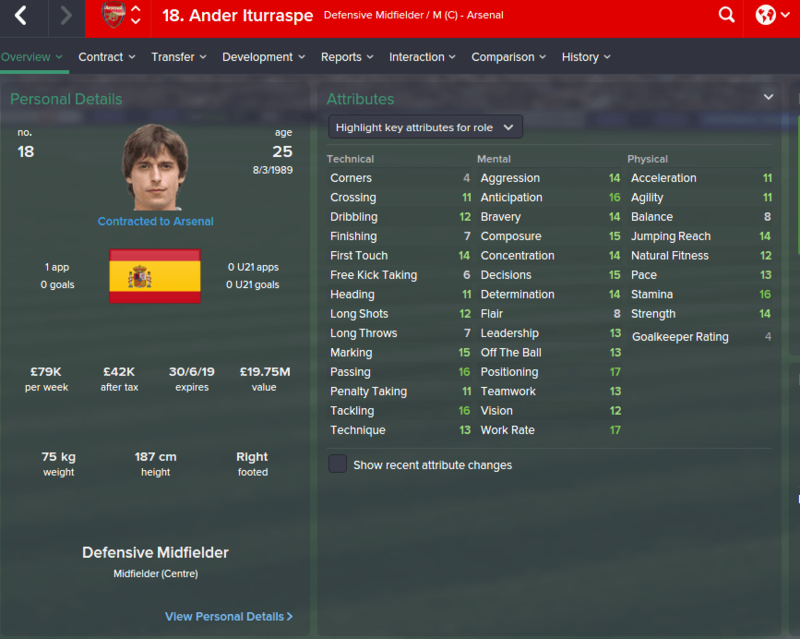 Like a London bus, you wait a long time for one signing then another comes just behind, and so was it with Ander Itturaspe, setting back 23 mil the Spaniard joined to complete the change of defensive midfielders at Arsenal as Flamini (released), Arteta and Jack Wilshere had been sold. With Reus, wages may be big, but it'll be worth it, what a team we have! 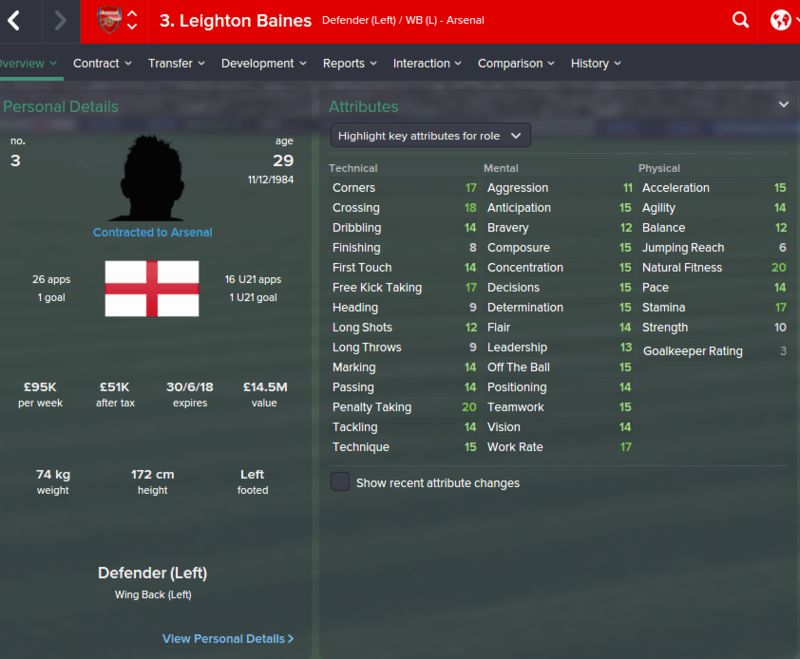 With the sale of Nacho Monreal, I was short on left-backs, and not trusting Kieran Gibbs played a massive part in what, with age in consideration, a rather large fee for Leighton Baines, one of the best left-back performers in the Premier League in recent seasons cost around 20 more mil. Having missed out on our main target Jose Gaya, it was a tough decision with the vulnerability of Marcelo – a new league and fairly old as well there were no faces I could look at including in my squad so went for the boring old Baines, with of course vast BPL experience. A STRIKER!!! I REPEAT A STRIKER! !, YES, Arsenal FC have completed the signing of a striker – the demand all fans have wanted as this is where they’ve felt the weak point away from a Premier League Trophy. It’s not some unknown player where people have to research into four hours like the likes of Sanogo either, with some hideous strikers in the past, things may well be on the up – a signing for now, and for the future I was looking at bringing in Karim Benzema but the wage demands were too much for such a club like mine, I felt there were better in the market. Saying a French player is signing certainly stirred up some discussion, as I looked to bid for Kevin Gameiro, Benzema, Alexandre Lacazette and Antoine Greizmann, with of course the latter joining a new club it would’ve been near enough impossible to bag him. Lacazette has got the potential to be one of the best strikers in Europe, and at such a young age, he will certainly fill the boots for many years and will have that understanding with fellow France national team-mate Oliver Giroud. At only 15.5 million pound, it is a real bargain buy putting into context inflation in football; it is certainly a signing I’m very proud of. The last few signings included Eder Balanta, one of the most hyped FM players in recent years, he joined but was loaned out to Monchengladbach for a season loan, with lack of home-grown players Leon Britton joined for a small fee, and Jake Sinclair signed on loan from Huddersfield. Leonardo Bonucci joined to strengthen the defence – which now looks very solid; overall I am pleased with my signings and believe we can win the league. Today, in the UEFA HQ, 32 teams found out their fate for the up and coming Champions’ League group stage round. With no real group of death, the British teams each found themselves in relatively easy groups which they can qualify from. Arsenal avoided any big possible European Giant they could’ve faced such as Paris St. Germain, Juventus and Europa League winners Sevilla. Arsenal are group E. They will face familiar opposition in Shakhtar, where former striker Eduardo plays his trade these days. The toughest opponent will, in my opinion be Borussia Monchengladbach the German side have a strong togetherness, in the group Sporting Lisbon who are a fallen giant could, quite well surprise a few with their quality which they have, in young talent – William Carvalho, Carlos Mane and nonetheless, Ryan Gauld who joined from Celtic. There will be a familiar face to the English football following in former Fulham playmaker, Bryan Ruiz who is now at the Portuguese outfit. The air miles will not necessarily be racked up just yet this season as the draw has been fair with the North London side, who after their away European games only face an away game once in the league following. The Gooners will start their campaign away against Sporting Lisbon, followed by a home visit in the league against Sunderland. Monchengladbach will be the first visitors to the Emirates two weeks later, which will then follow by a tough trip to Anfield – a balance of squad rotation will be required here with two of the toughest possible games falling closest to each other. Shakhtar away is on the 21st October is followed up by a tough trip to the Britannia. Then the Ukrainian side face the annual midway back-to-back fixture back at the Emirates on Bonfire Night – this will be followed up by a visit to Leicester City. The group stage will then be rounded up with the toughest two games, with two hard follow ups, sporting at home will be followed by a trip to Old Trafford. The Gooners end their group stage away in the wonderful land of Germany, then from there will face a home visit against Tottenham. Manchester City – They will be fairly pleased with a draw in which they believe they can qualify for, facing Maribor and Steua Bucharest , the dangerous test will be coming up against 10 time champions Real Madrid. Chelsea – The West Londoner’s will face tough visits to Ukraine, similar to Arsenal, as well as the Czech Republic – but the latter will be their easiest draw. Sevilla will be their hardest game, with Dynamo Kiev and Sparta Prague proving not to be the group’s whipping boys. Manchester United – They return into the UCL, following a year’s absence. They have the toughest group, I believe out of the three English sides. Three big vital games, as their opponents turn out to be Lyon, PSV and Wolfsburg – a return for Depay against his former club already being the key fixture here, but the German Bundesliga runners up should have enough fire power to see it through to the next stage. They might as well wave bye bye to any qualification chances already, being the fourth seed team, they face every opponent they would’ve wanted to avoid. Again, they face Barcelona who they famously beat at home a few years back, a massive challenge to overcome the ever improving Spanish giants, with Messi, Neymar and Suarez upfront they will be a tough nut to crack. They will also face Serie A champions, and normally formidable at home, Juventus – last year’s runners up to the current champions (Barca) – which will be the heavyweight class out of all the groups. The final side in their group is another German side, in the name of Bayern Leverkusen, even to out play these they will require a lot, it could be a year of one or two points for Celtic. Another fantastic update and a pretty tough group if I'm honest, though you should get through! Following a below par pre-season, August weren’t the best of months for Arsenal with only one win, and two defeats. In the process, eight goals were conceded. A change of tactic following the defeat against Manchester City in the Community shield saw me decide to opt for a different striker, giving Theo Walcott a chance upfront. Considering out first game was at home, against newly promoted Watford I thought it would be a good chance to try something new, before two tough tests. 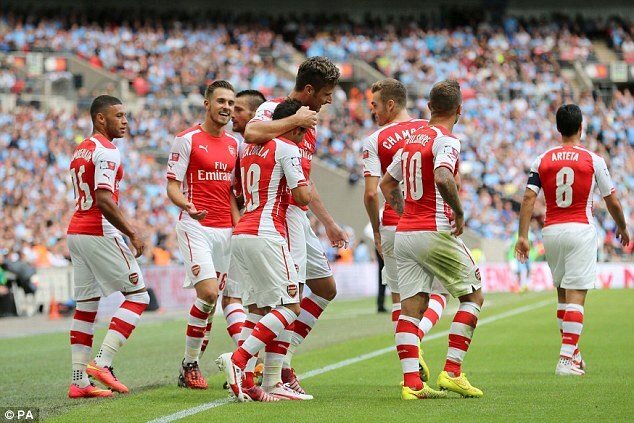 It was a goal-frenzy month, with Arsenal’s games involving 19 goals in the three games. Going onto the Watford game, with the new season buzz it was great to set off with a win, especially as it was my first Premier League game in charge. It was a very dominant performance, and the decision to play Walcott as a lone striker looked to pay off – Mesut Ozil played a short corner to Alexis Sanchez, who found Walcott who shot from close range, the second goal came just after – A Hornets throw in was intercepted by Sanchez, the counter attack was on, a long ball was played to Walcott, cutting inside the box but passed wide to Marco Reus, then good build up play inside the area eventually saw Sanchez hit the ball into the low bottom corner. A Reus free-kick found the head of Walcott to grab his second, although before half-time and just after he could’ve had a hat-trick, maybe even four. Reus got a goal of his own before half-time, and then the goal scoring was finished off by the Chilean Sanchez, midway through with an hour or so played. The Gooner’s came crashing down, with back-to-back defeats, first of all away at West Ham then home to Manchester City – who we previously lost to at the start of the month. Both games finished with the same score line, but how the matches went were completely different. Emner Valencia continued his impressive pre-season form and was a nightmare to handle as he bagged a hat-trick for the Hammers, Valencia put the claret and blue’s 2-0 up within the first three minutes of play – the visitors dominated everywhere, except for finishing. Ozil and Sanchez pulled the score back for Arsenal giving some hope. The lead was soon restored, Valencia got the match ball a minute before half-time and Dimitri Payet finished making it 4-2 in the first minute of injury time. Alexandre Lacazette got his first Premier League goal, but that is how it ended. A second-half collapse saw Arsenal surrender a 3-0 lead at home – Leighton Baines, continued his tradition with scoring from the penalty spot – Fernandinho hauled down Sanchez, in the process injuring himself – being replaced by Sergio Aguero. Willy Caballero stayed still, as the penalty was hit into the bottom left corner. Reus curled home a second, and to complete the rout – Ozil popped up after half-an-hour. A mistake in the home sides attack saw Dede hoof a ball up towards Aguero passing the ball to Gonzalo Higuain, and he buried. With the defence still, Higuain ran through one-on-one and lashed home beating Petr Cech. 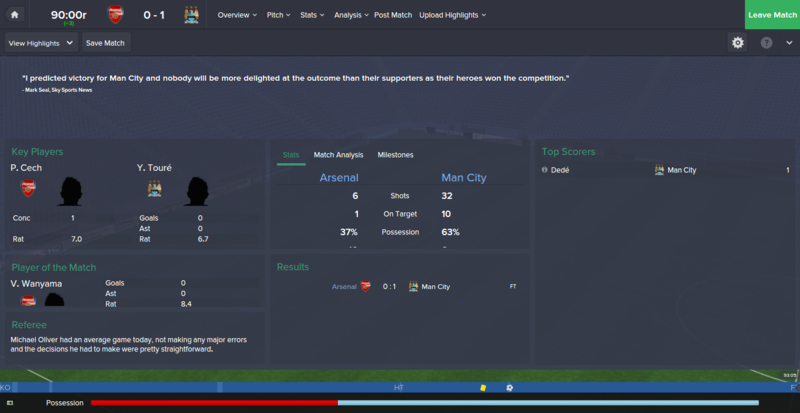 Aguer then, got a second assist, playing the ball across goal to Edin Dzeko to tap home. The turnaround was soon complete; Aguero got the goal he deserved, turning on the defender and scoring from a tight angle. September, though – three games and three wins, which saw us climb up the table a not so convincing but comfortable win against West Brom and Sunderland. We picked up only our second clean sheet of the season so far, away in Birmingham, at the Hawthorns. Another dominant performance – goals from Reus, and a Ben Foster own goal was enough to seal the win. Aaron Ramsey managed to get his first goal on the board for the season at home against the Black Cats; John O’Shea put the visitor’s ahead, but Sanchez got a brace – Jermaine Defoe pulled one back, but we held on well. We ended the month with a visit to the Bridge, as Chelsea played host in one of the most tightly contested, and anticipated fixtures on the calendar. We took the lead in the first half, through no other than Sanchez, that was the action for the first half – the first ten of the second though put the home side ahead, goals from Falcao and Diego Costa. Ozil scored to bring the scores level, but then popped up Ramsey, again a surprise scorer to put the Gooners ahead, again, the lead was extended and the win was confirmed with 20 minutes left to play through Sanchez. We faced Everton away in the Capital One Cup, with a comfortable 3-1 win goals from Lacazette, Ramsey and summer signing Victor Wanyama. 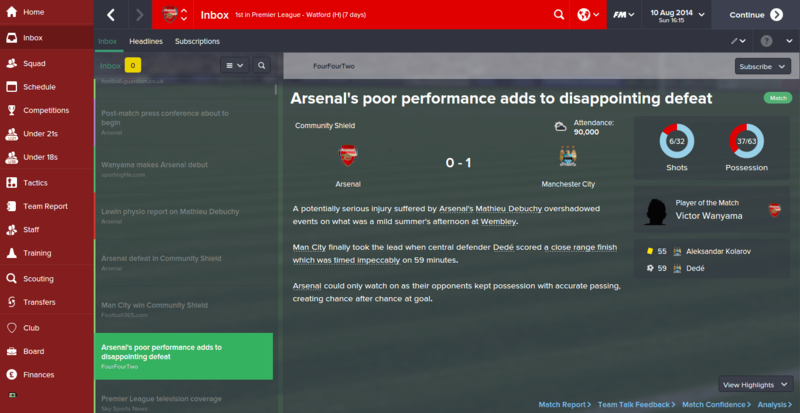 Our Champions League got off to the worst possible start, as we went down away from Sporting 4-1. Lacazette levelled in the 46th minute, but from there the Portuguese ran riot scoring three second half goals in 22 minutes. Our home Champions League campaign started with a resounding win, at home to Borussia Monchengladbach which I thought would be the toughest test in the group – it seemed that my prediction of Sporting being the surprise team was correct so far. Oliver Giroud, Per Mertesacker and Kevin De Bruyne all got off the mark, Ozil also scored at 2-0, the German side got back into the game and gave Arsenal a scare, but then Mertesacker and De Bruyne finished – who signed for 40 million and has speculation he could well be off, as soon as January comes. Some results weren't ideal there, but you did get some good wins. Hopefully you can build on that.